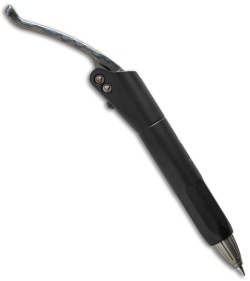 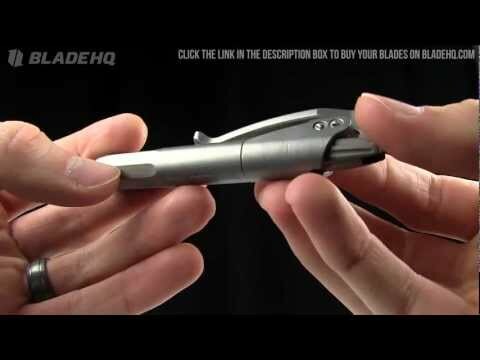 The Siphon is a unique folding or lever-action pen and a stylish writing instrument from the mind of Microtech. 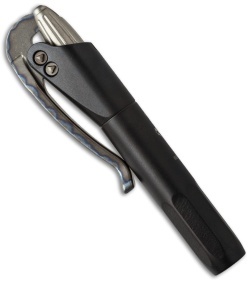 The pocket clip unfolds and the pen tip is revealed. Made of black coated stainless steel with a torched titanium latch. 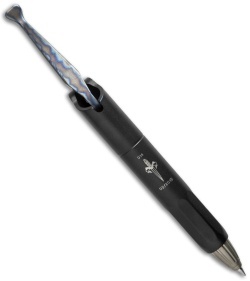 Includes a black Pilot ink gel cartridge (replaceable).